I’ve always enjoyed this race, but with everything that has happened this year, I really wasn’t in the mood. Even during the briefing I realised that I didn’t have my timing chip, my head wasn’t there at all. During the swim, I was already mentally defeated, I was thinking that it was a waste of time and no point pushing, people were passing me and I just thought “meh” not a winning mind set at all! The swim was slow, someone was tapping my toes for a while, but it was quiet all the way round. If anything, it was a little boring. I still haven’t got the full mobility back in my right shoulder, so my stroke felt off. I think it was the last few hundred meters before I felt comfortable. Running, then walking into T1, I usually have my wetsuit unzipped and around my waist, but today, I didn’t. I struggled to get my wetsuit past my timing chip too. I know the course, so it was head down and push on. Part of the road had been resurfaced, but the ramps and raised manhole covers were no issue. ‘Never try anything new in a race’ today was the first outing for my new bottle bracket and Profile Design HC bottle. The new set up was almost perfect, the bracket is rock solid and the computer mount is brilliant! No vibrations, no movement whatsoever, the only problem was that the straw was a little too long and a little too far back. I need to fix that, it was a little irritating. The bike felt slow, I was passing people, but I couldn’t tell if they were in my wave and there were a few occasions when I was on my own. Lap two; I decided to push a little harder. Even though I managed to keep the bottle, I didn’t use it, so I did the whole swim and bike on Breakfast, Hornet Juice and water. The scar on my right arm didn’t hurt, but it was bloody irritating on the tribars. Dismount was clean and the run to the rack was reasonable. “Where is the run exit?” I told you I wasn’t prepared for this race. This was still an unknown, as the last time I ran 10k was May! But, it felt fine, no pain. The run course is four laps and I struggle to count past one! Four laps, so four times up that steep hill. Last year, the hill wasn’t an issue, up or down. This year I was a little more cautious, I didn’t was to aggravate my calf injury. I can tell I haven’t been running, it was hard, I’m not fit at all. Also, my feet have gone soft, I started to develop a few blisters quite early on. I did feel a little stronger though, I felt more upright, maybe the four weeks of gym work was working. I had two gels with me, but as this wasn’t going to be a PB, I thought I would experiment and see how I would fair without any nutrition for the whole race. I did have Hornet Juice on the bike, but that is an amino acid mix with only 11 grams of carbs. I managed to finish without any nutrition, but I was flagging towards the end. I rounded the cone on the last corner and I could see the finish line, as I got close, I saw a guy peel off to run up the finish chute. I was about 20m behind him and thought sod it, sprint him down. Which I almost did! I ran as hard as I could and we passed the line together, with me just 1 second behind! In the end, I quite enjoyed it. As usual BRAT did a fantastic job with the race, the organisation is fantastic. I was pleased I managed to complete the race injury free. My favorite race, the BRAT triathlon. Chatsworth wasn’t one of the races I was planning for this year, but I’m pleased I booked it! 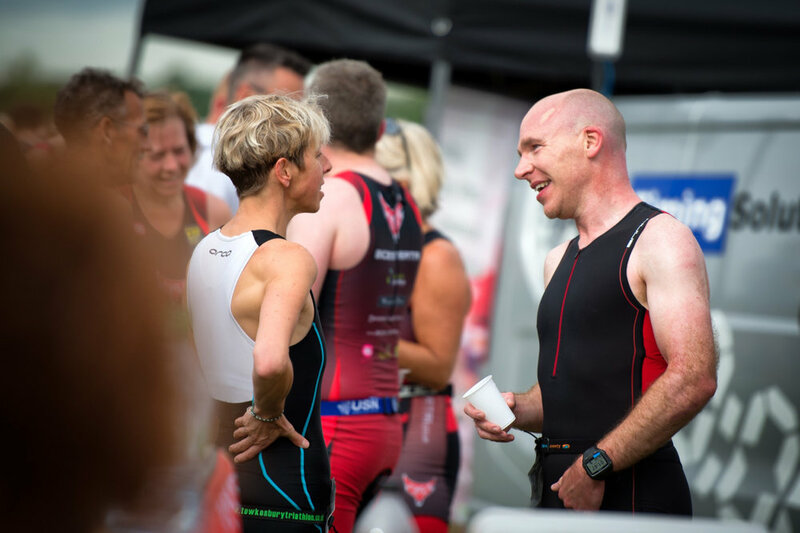 The Leeds ITU Triathlon had a whole bunch of issues.